Ab fab - or drab? Review You can tell a lot about a device from the state it arrives in after its been pawed over by heaven knows how many sweaty-palmed handset hacks. 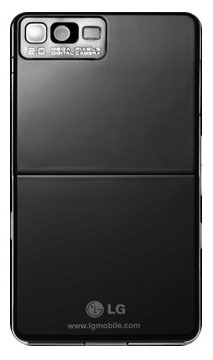 It's clear LG's KE850, co-designed by Italian fashion house Prada, has not had an elegant time of it. Think bright, innocent debutante dropped unexpectedly into a nest of vipers. Not a pretty sight. Now, to be fair, this isn't the treatment I'd expect a KE850 purchased by the kind of cosmopolitan phone buyer LG is aiming at to give the handset, but it's nonetheless testamant to the phone's inability to live up to the rigours of modern life. If you don't take very good care of your stylish possession, it could end up in a sorry state indeed. As so many phones do, of course. But one as centred on looks as the KE850 should shine no matter what. 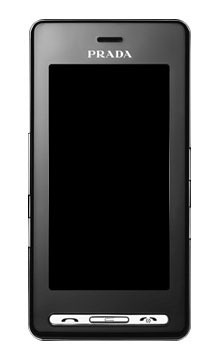 Out of the box, the KE850 is a slim - 9.9 x 5.4 x 1.2cm - shiny black monolith of a phone, all 2001: A Space Odyssey meets iPod. Prada's name is embossed in silver letters on the front - LG's logo is relegated to a screen-print on the back. Below the Prada logo is the 3in display - all 240 x 400 pixels of it - then a sliver of a silver bar that forms the call make and break buttons and, between them, the back-a-step key. The handset's rear is home to the two-megapixel camera and light, both discretely tucked right up into the top-left corner and set in a milled metal panel. It's a shame LG didn't used the same material to wrap the handset around its top, base and sides instead of the decidedly cheap-looking chrome-look plastic it picked instead. Even without the handset's rough handling before I got it, this would fail to look stylish. It looks like a toy. The band is home to a wrist lanyard anchor point; the control-lock button; a music player activation key that doubles up as the camera's shutter switch; a now chrome-less button to release the battery compartment cover; scroll up and scroll down keys; an OK button; and a tiny hatch covering the port for the AC adaptor, which is also where you connect the bundled black wireless headset.